Decorations and the cutleries used were modern and clean. Food is more lightly flavoured. Deserves to be tried by more people. Currently a quite place to have nice food. Today we visited a new Chinese restaurant called Chef Dong. This restaurant has taken over the a restaurant that has been closed down after it has received bad publicity last year due to its cockroach infestation problem. The previous restaurant known as Imperial Peking restaurant, closed in February after pleaded guilty to thirty-one counts of breaching the state’s food standard code. Most people have not realized that the new restaurant is under a different ownership to the previous restaurant. 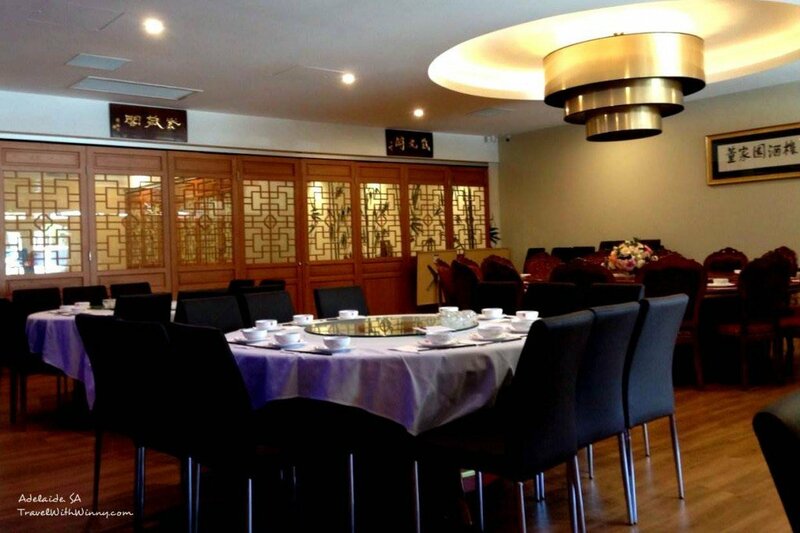 Chef Dong has undergone a $500,000 dollars renovation and has an upper class Chinese restaurant feel. 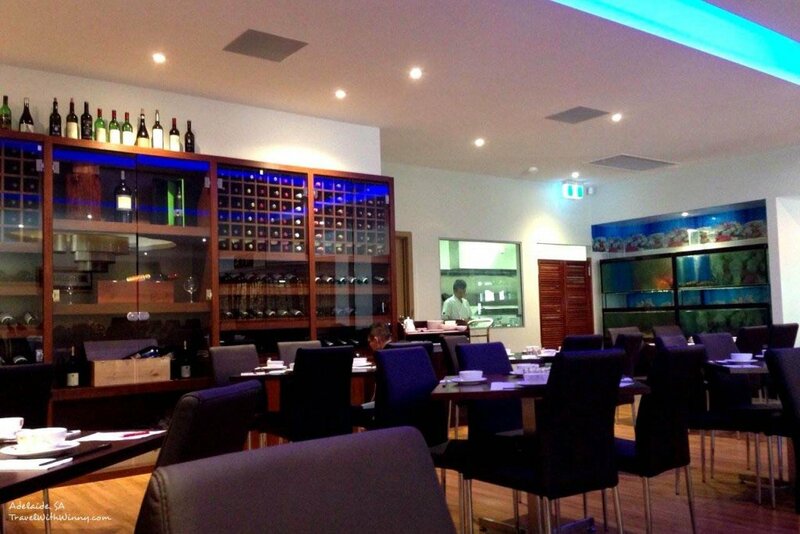 The layout of the restaurant remains the same but the interior design is now more sophisticated. The restaurant feels more spacious as they have reduced the number of tables compared to the old restaurant. The Kitchen is opened up for viewing with a new glass wall. Feels like they were making a statement saying that they have nothing to hide and there are no cockroaches any more. We heard that the restaurant has been slow since opening at gaining more customers and it seems true when we see it in person. 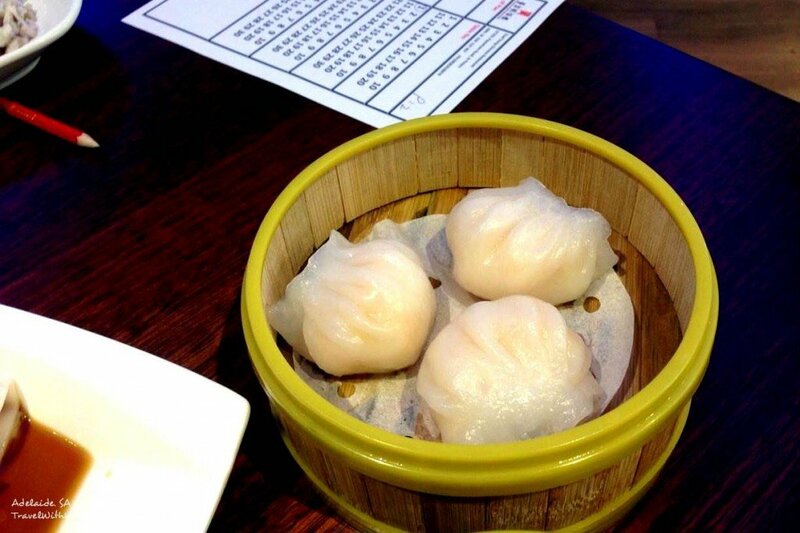 We visited the restaurant on a Monday afternoon for Yum Cha. We arrived at 11:15am and left around 12:30pm but we did not see any other customer during this time. We took advantage of the full attention of our waiters. There were at three waiters and the owner taking turn at serving us. 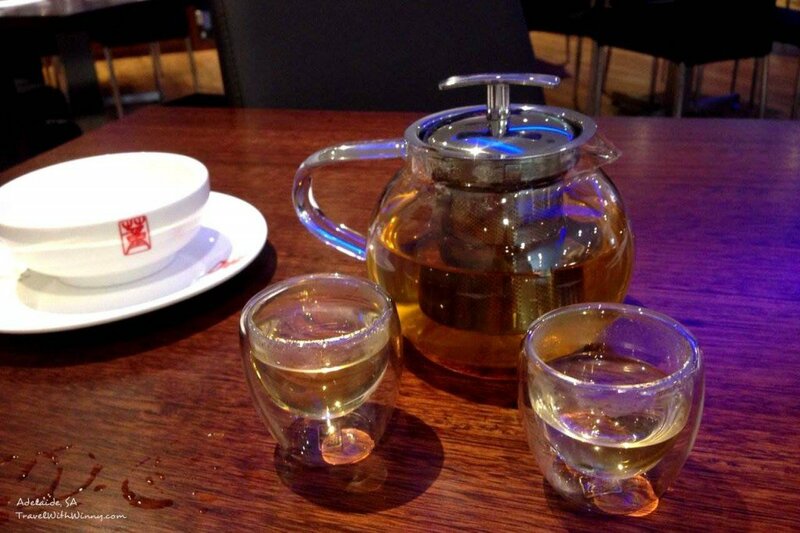 The tea-pot and tea cups were a unique compare to other Chinese restaurant. They were the heat-resistant, transparent modern cups. We ordered our Yum Cha from an order form as oppose to selecting dishes from a push cart. This is normal especially if the restaurant is quite like this. We selected the few typical dishes to try and because Winny doesn’t like fried food, we selected mainly the steamed ones. 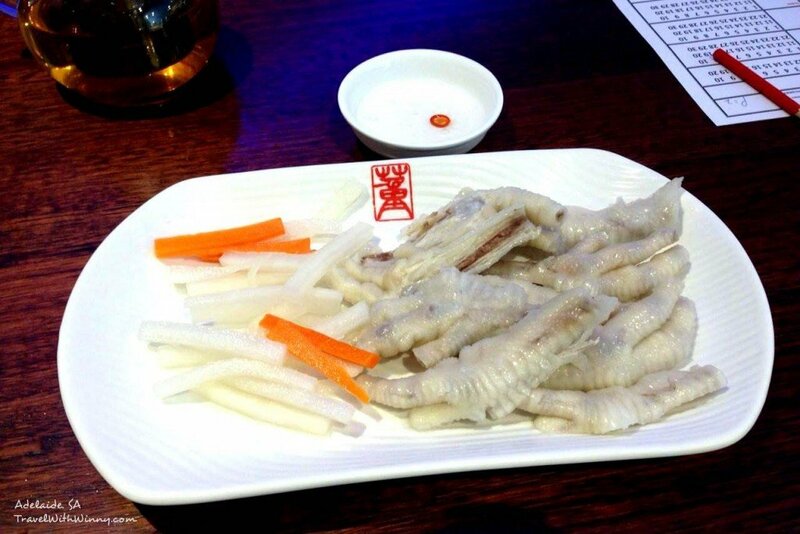 The first dish we had was chicken feet in rice vinegar sauce. 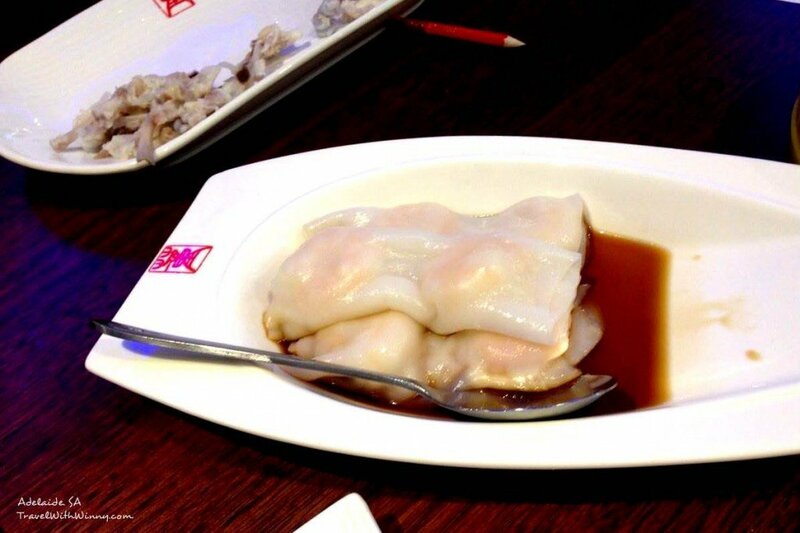 Winny is quite familiar with this dish as she has had it in many other Yum Cha restaurant and she said that it was done quite well. The meat was quite fresh and taste was refreshing especially eating it with the pickled radish and carrot. The next few dishes we had were the radish cake, prawn dumpling, prawn and chives dumpling and king prawn rice roll. These dishes tasted quite fresh but they were a little bit bland for my liking. 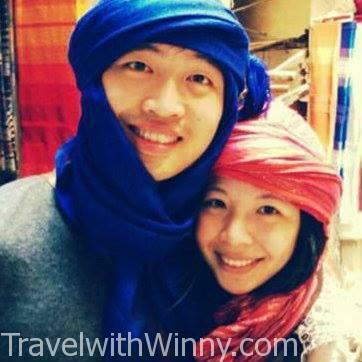 Winny said she does prefer this style of cooking. She said that she usually get a really thirsty feel after Chinese restaurant meals due to the excess salt and MSG added in their food but she doesn’t have the same feeling after eating at Chef Dong.I have to agree on that. I believe that the ingredients and flavoring they use is more natural and fresh. 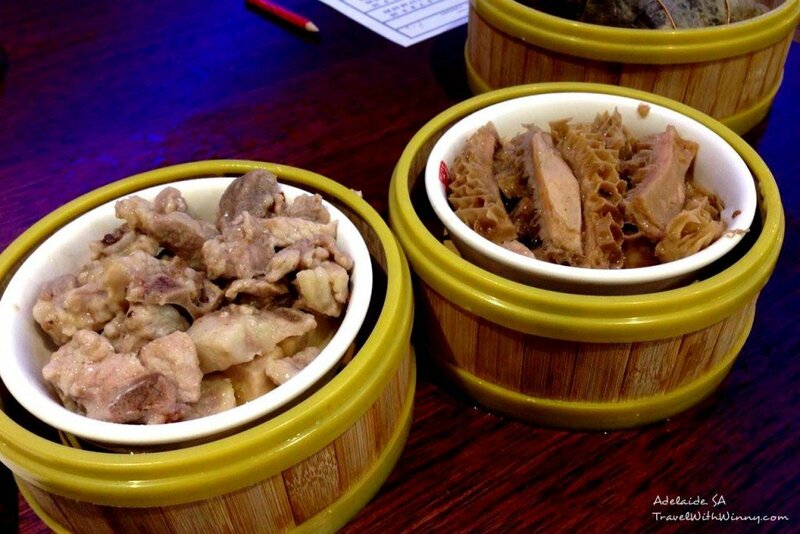 The next lot of dishes we had were the pork ribs in black bean sauce, spicy OX tripe and sticky rice in lotus leaves. Winny didn’t like the OX Tripe very much because it was a little too soft. 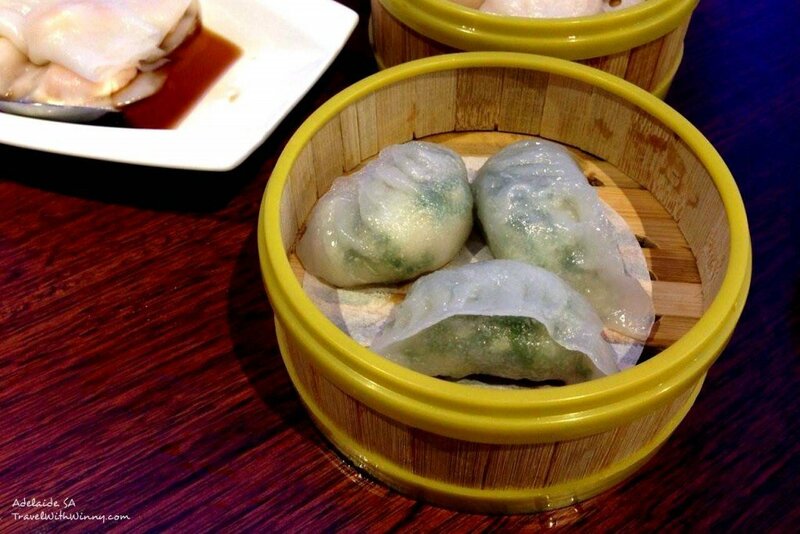 However it does have the same texture to many Adelaide Yum cha that I have tasted. The pork ribs were quite nice as well. 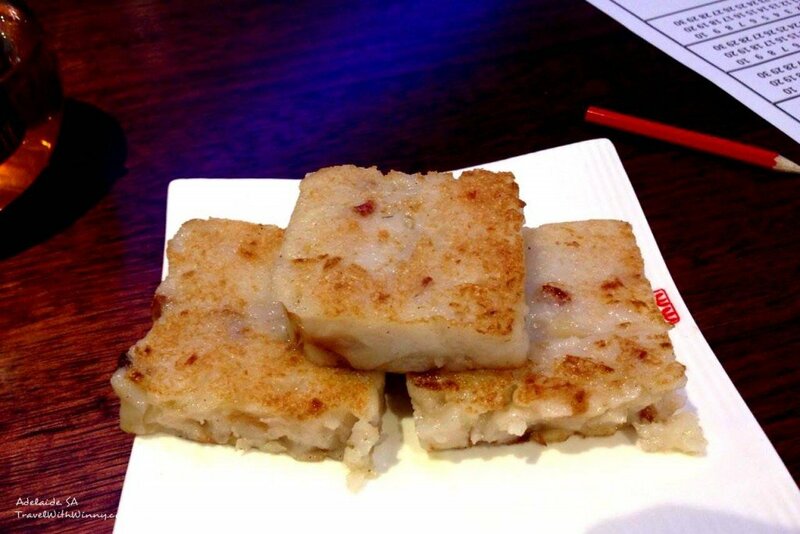 It was cooked with some squared Taros on the bottom which complimented the taste. By the time we got to the sticky rice, we were a little full. We shared one of the rolls and we did enjoy it. The ingredients did tasted fresh as well. We wanted to finish off with some dessert as well. 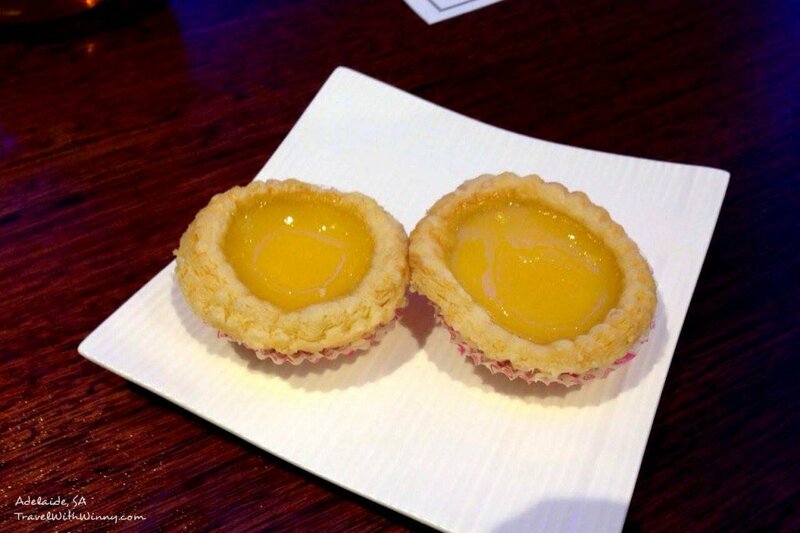 We asked one of the waiters that if the egg tarts were made in the restaurant and he replied that the chefs make the base from scratch every morning. They did tasted good and has quite good standard. The tart was crispy and the custard was a good consistency. Overall the we had a good time at Chef Dong. The price was slightly higher than we expected but still reasonable for a lunch meal. We believe that more people should give it a go and give them a chance. It is a good opportunity to take advantage of this quiet time before the business takes off again.